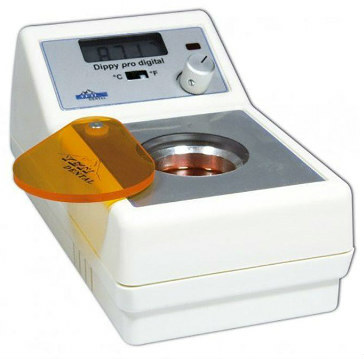 The Yeti Dippy Pro Digital Dipping Unit is a convenient alternative machine to analog technology. Precisely adjust temperature from 149F to 212F while providing an even temperature distribution. Ventilation slits add improved ventilation. Additionally, a digital display shows the actual temperature. The Yeti Dippy NT Light has a transformer built-in unit. The efficient device is an alternative unit that’s reasonably priced. There’s no need for an additional transformer that takes up a lot of space. It’s easy to control the heating system around the tank and has an ergonomic design.